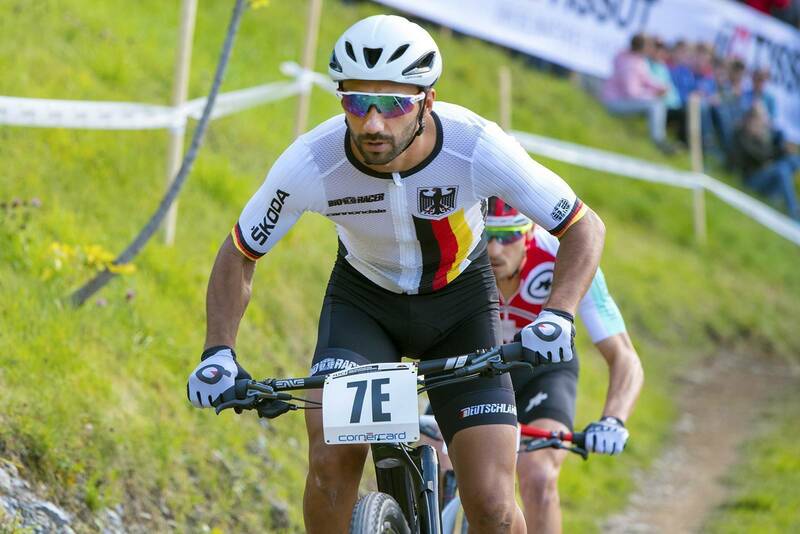 The 2018 UCI Mountain Bike World Championships kicked off today with the Team Relay. 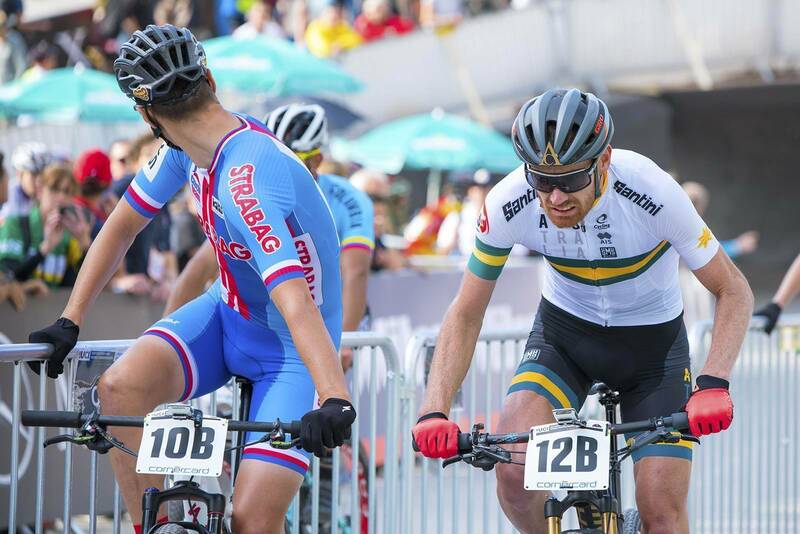 If you have been to a big mountain bike event, you will have some understanding out how easy it is to get swept up in the moment, cheering loudly, waving your arms, losing your voice... when you stand trackside and watch the sheer strength and skill of top riders, you can only be impressed. Now do that at a World Championship event in Europe, and that overwhelming sense of excitement lifts ten fold - at least! 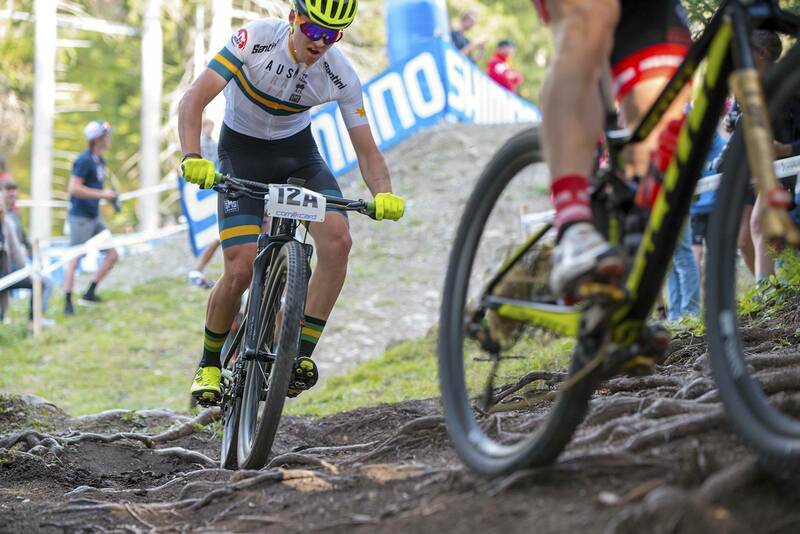 Australia has had two World Cups, an EWS round, a World Championship and the Commonwealth Games in the past few years - and they were all excellent events with a true international buzz. But the crowd who filled into the slopes of Lenzerheide Bikepark this evening for the first event of the 2018 UCI Mountain Bike World Championship was something else. As the sun moved lower in the sky, the soft afternoon light lit up the forest in some areas, and sent long shadows across darker sections. 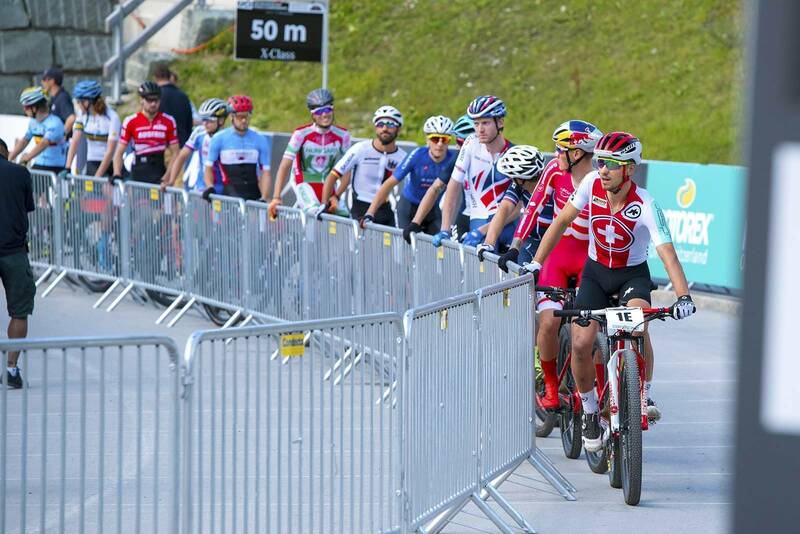 The amphitheatre created by the bottom of a ski run to a lift station is the perfect setting for a bike race - and the air was buzzing with the hum of rollers and trainers, as some of the best riders in the world warmed up. 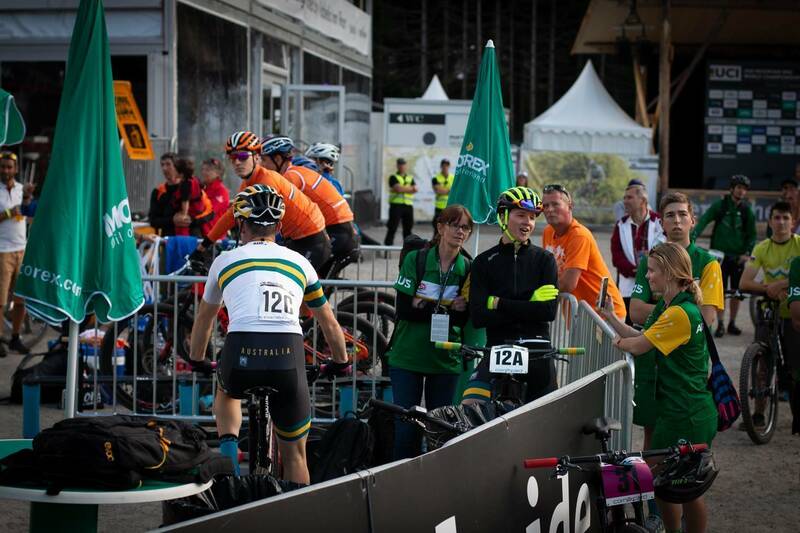 The Team Relay pits 5 riders from each country, one at a time in a relay, for one lap of the XCO course. 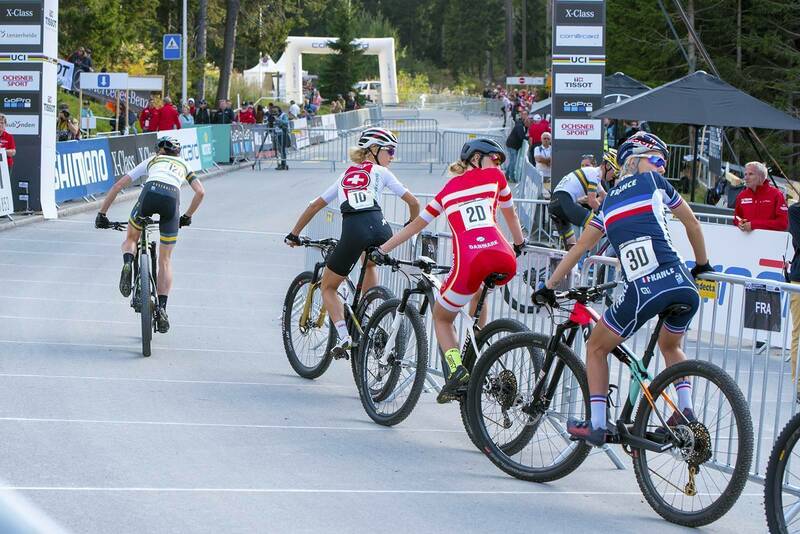 Each country must field and elite man, an elite woman, U23 man and Junior man, and an U23 or Junior woman. Many countries have their fastest riders in the closing positions, as they not only get to do a proper race pace lap, but can also practice passing. 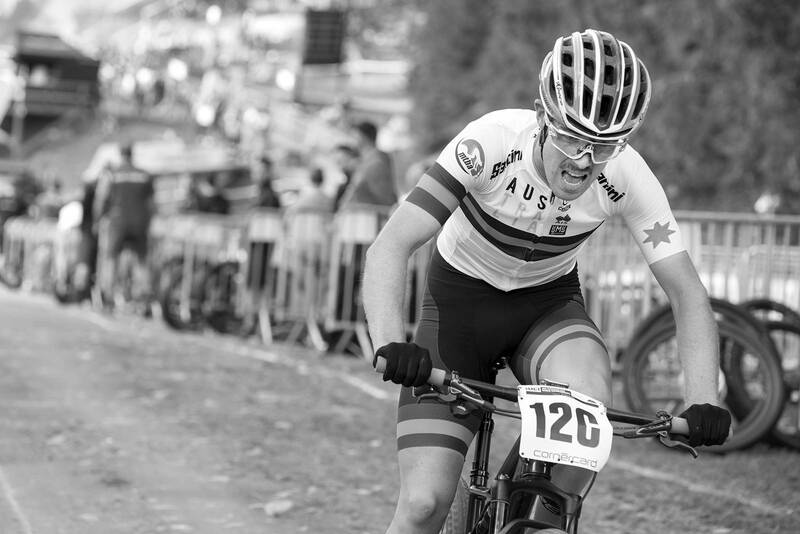 Evan James of MTBA opted to reverse the order, which would have the women on the team in the last two positions. "This way we put our fastest riders first, letting them get to the front of the race, and get some clear track. 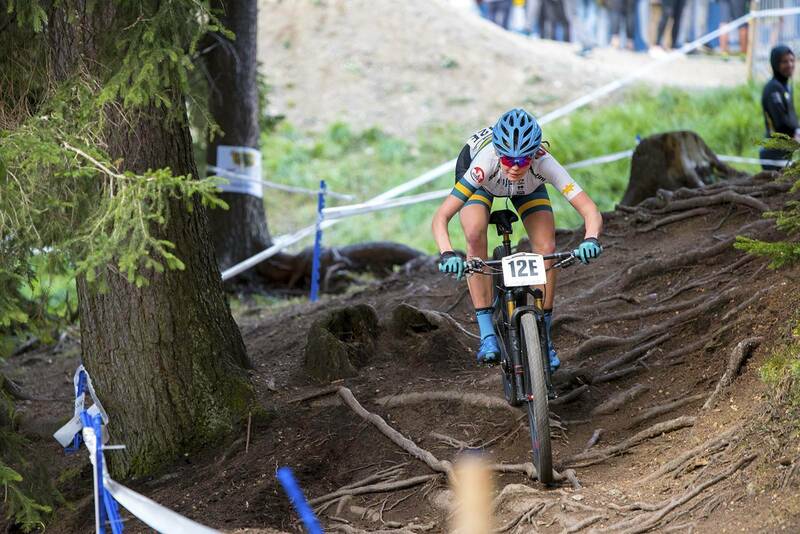 Then Holly and Zoe will be 4th and 5th, have clear track and can really see what they can do." 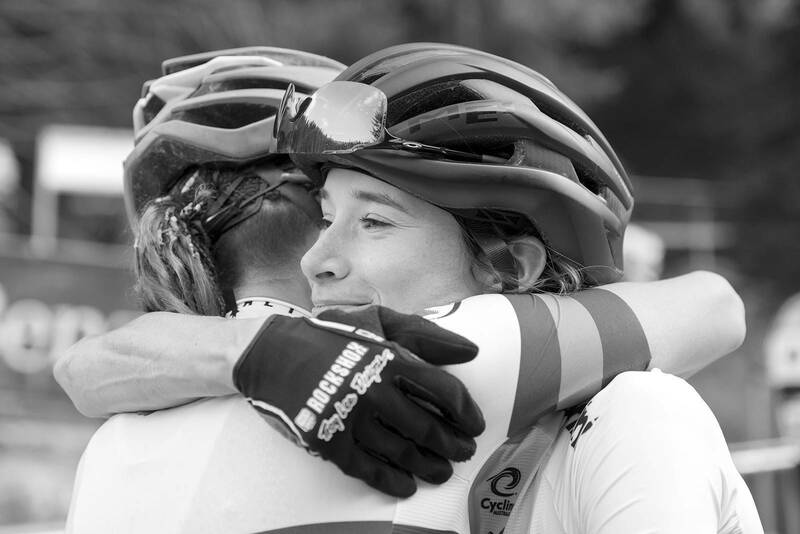 It also means they will be hunted down by past and present elite World Champions - but that was something that both Holly and Zoe were completely up for. 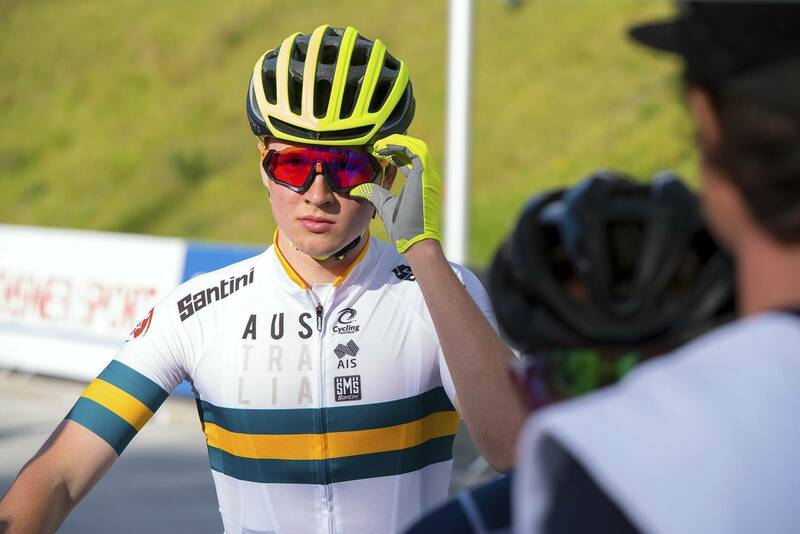 The race started with Cam Wright on the first lap for Australia. 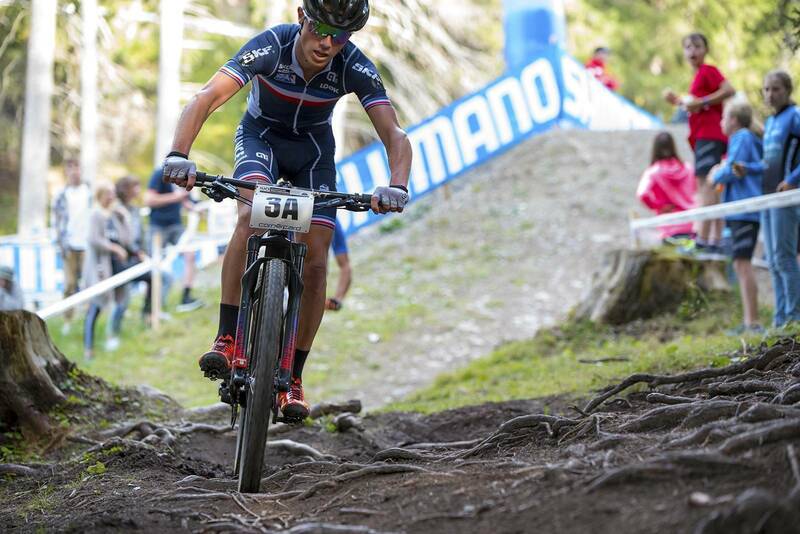 France took the lead, but Cam, as an U19 rider, finished inside the top 10 riders. 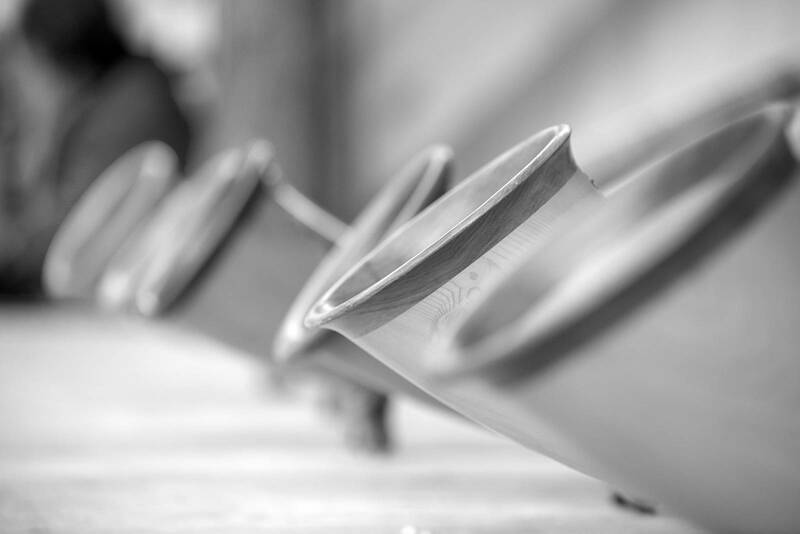 "It was a good experience. I lead it out last year too, and starting with elites and U23 riders meant I knew I had a hard one coming. A 2 minute hill turned into a 1 minute hill from the start, so it was really hard. But once I settled in, I really enjoyed it. We've all been going alright so far so let's see how it goes for the whole week." 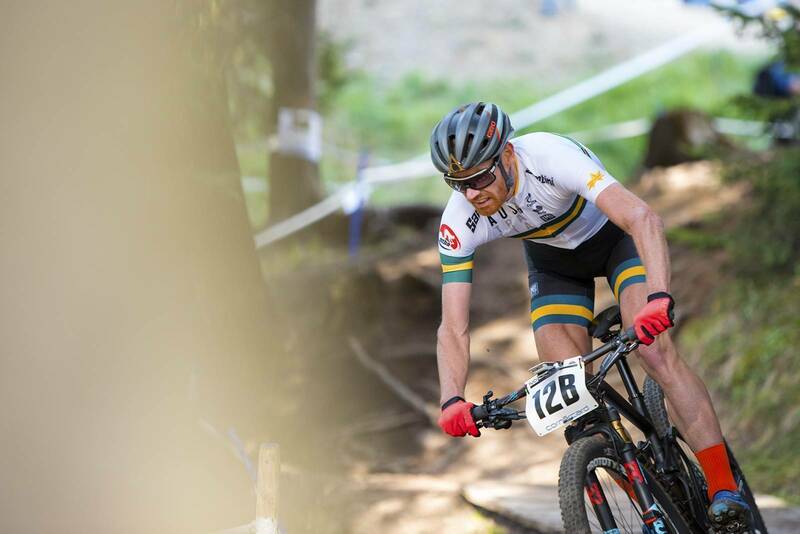 Dan McConnell was next out, and was pure class, chipping away at a few more positions, and when he handed off to Reece Tucknott (U23 men) we were in 6th place. 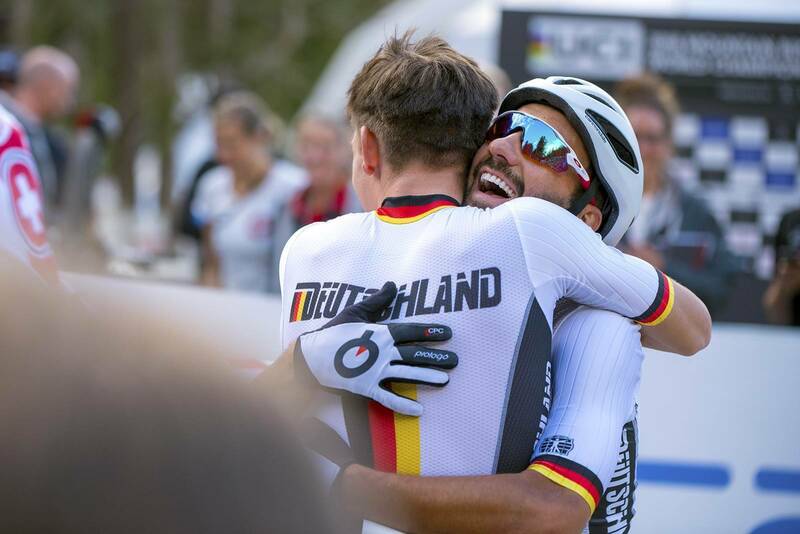 Yes, Reece was going out at the same time as women - but Reece was going out with a previous World Champion, a current World Champion, World Cup winners... classy riders. And one by one he passed them all, and went about building a lead. "That was pretty special - I didn't expect so many people to be out here on a Wednesday night. It's such a big crowd," said Tucknott after the race as he cooled down. "It's not the home crowd of Australia like last year, but the Swiss - they love it. I couldn't hear too much out there, but I've got my Swiss fmaily I've been living with for a few months and my own family, and all the other Aussie crew cheering - so it was pretty awesome. "We had nothing to lose, and came in wanting to change it up a bit. So we sent all three men first to see what happens." 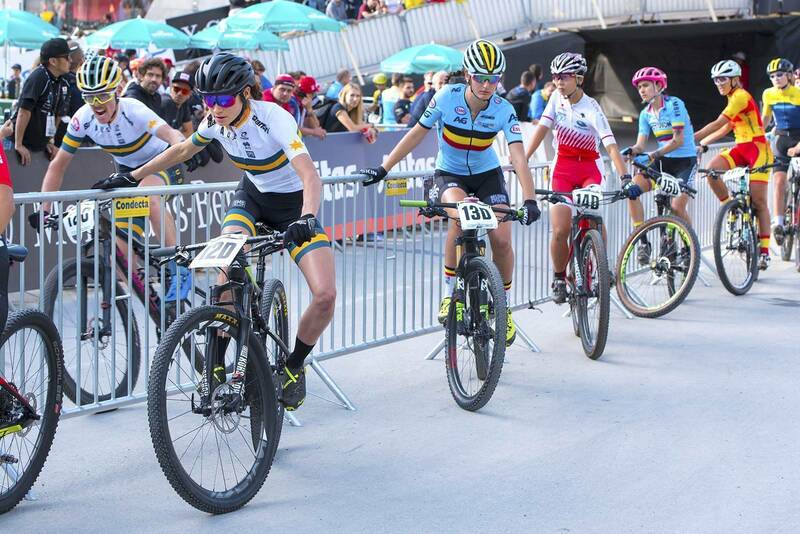 Tucknott built such a lead, that when our 4th rider Holly Harris went out, she left such riders as Jolanda Neff and Pauline Ferrand Prevot just waiting, and waiting for their riders to come in. 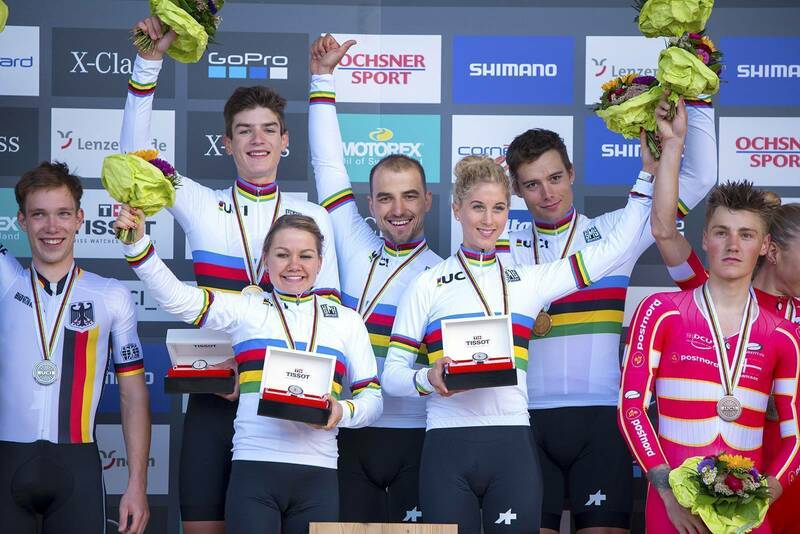 Australia was at the top of the leader board, and Holly Harris was also on a blinder, covering the big screens and showing that she is a world class rider. And you know what? 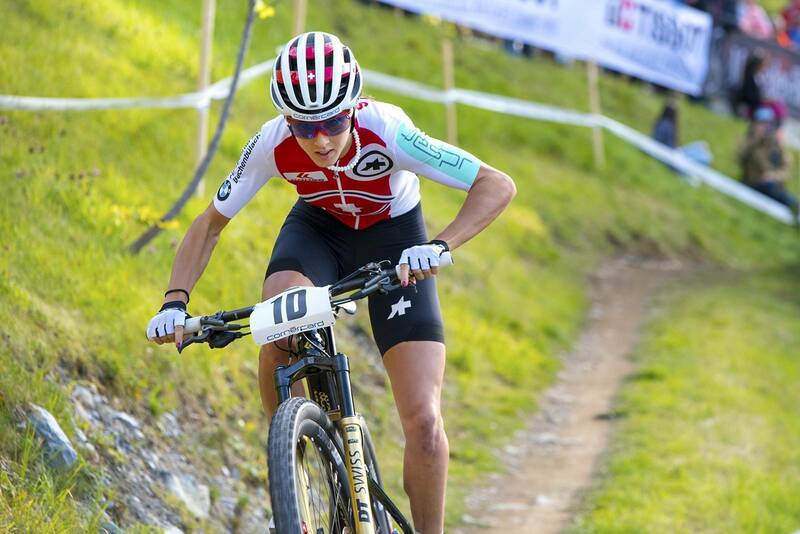 She didn't even lose much time to a chasing Jolanda Neff. Harris should take a lot of confidence in that for Saturday. 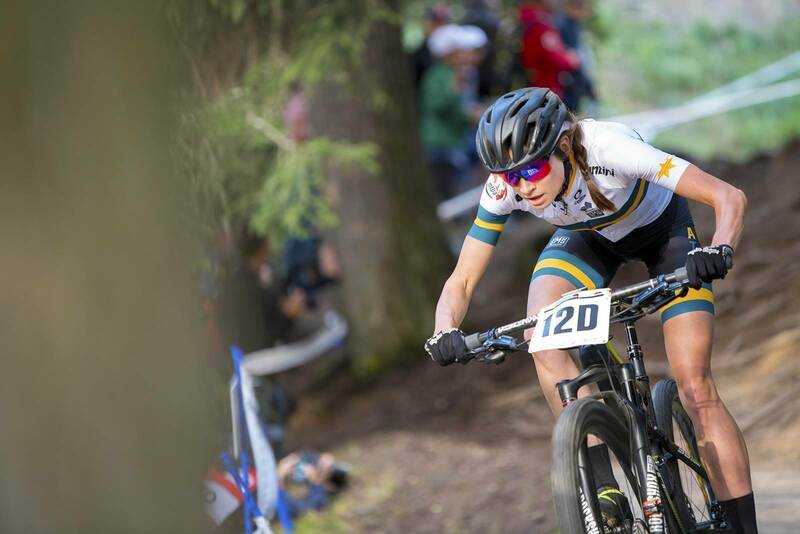 Holly did such a good time that Australia still held the lead going into the final lap, which Zoe Cuthbert would ride. Such is the mental strength of Zoe, she wasn't fazed by the super powers of MTB chasing her down. 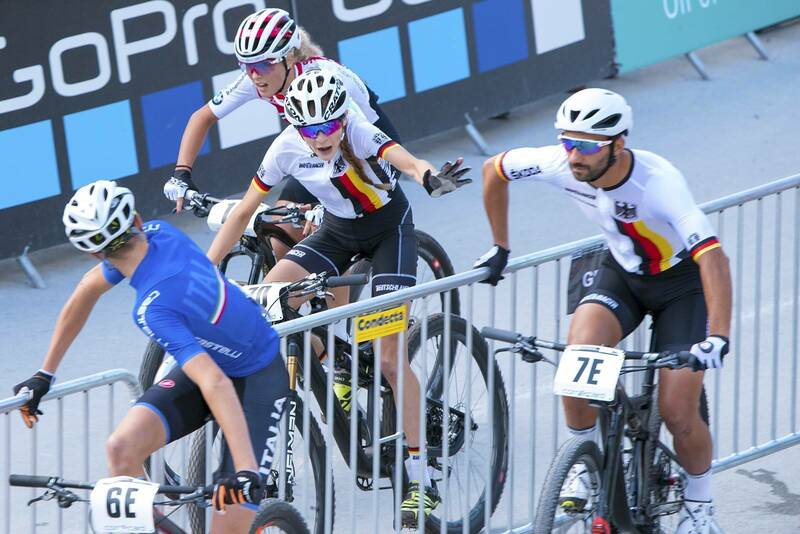 We watched it unfold on the big screen as a hard charging Nino Schurter got Zoe in his sight - with Manuel Fumic right behind. 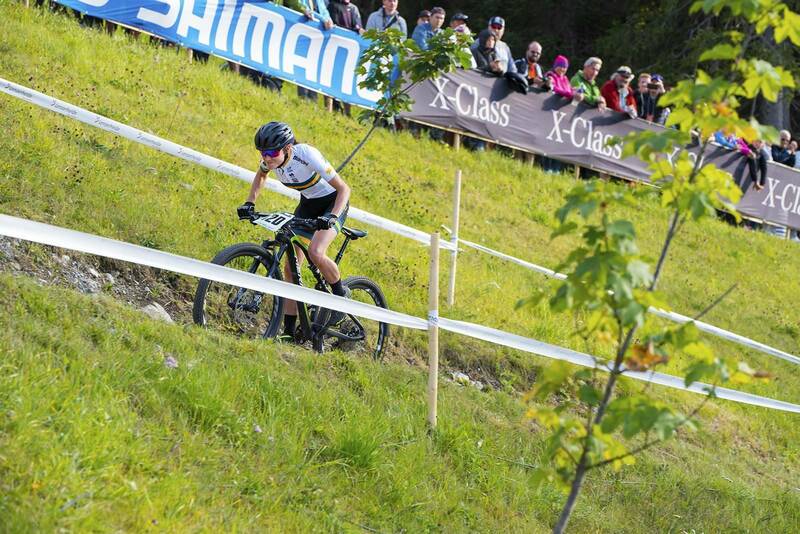 Zoe even swung over to try to get on Schurter's wheel as he passed - she really pushed herself to the limit! 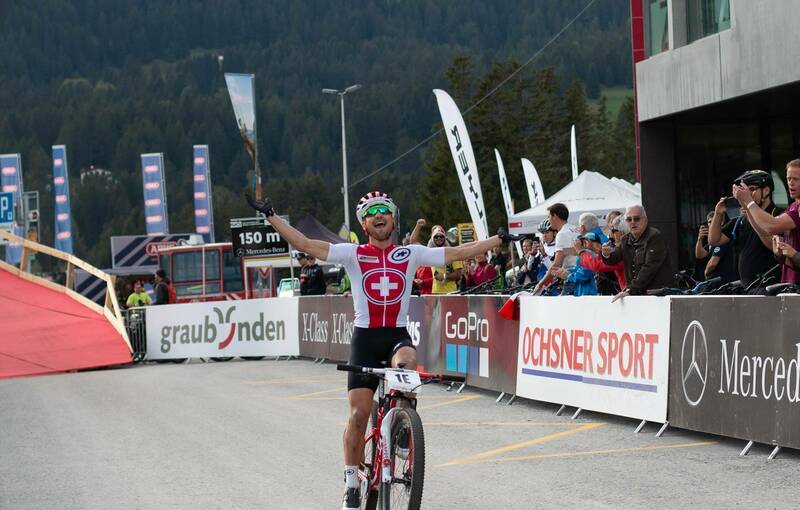 In the end Schurter crossed the line first, meaning Switzerland would win gold. 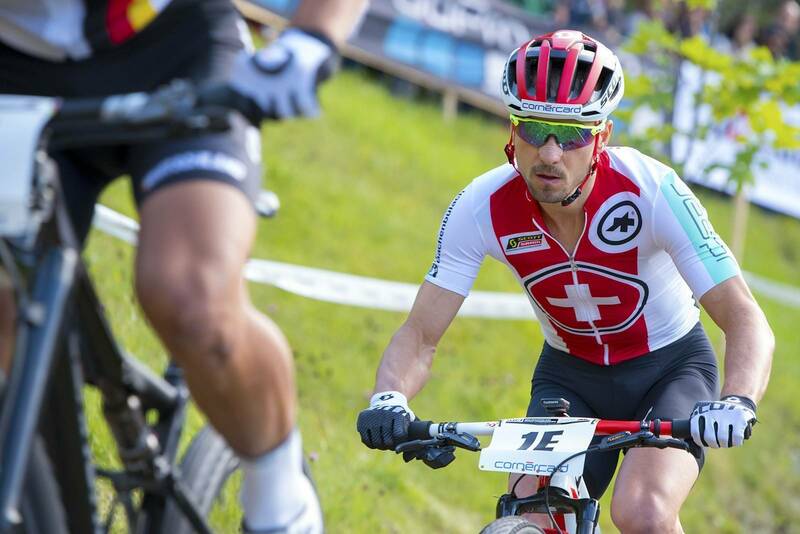 Fumic was second for Germany, and Simon Andreassen was 3rd for Denmark. 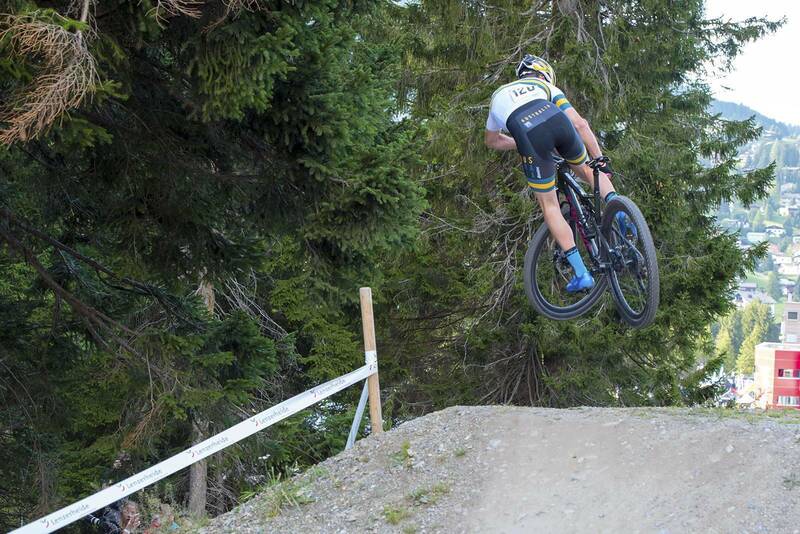 Australia finished 12th, and every rider on the team, and the staff, were buzzing. This was a huge experience for the younger riders, and a proud one for the more experienced riders. The strategy gave our riders a fast run at the track, and showed them exactly what they can do come race day. Kudos to Evan at MTBA for making the call - but it was something the whole team was behind - and it paid off. The Swiss TV coverage was covered in green and gold. At least until Nino got to the front! Full results are online - check back tomorrow to see what happens with the Juniors!